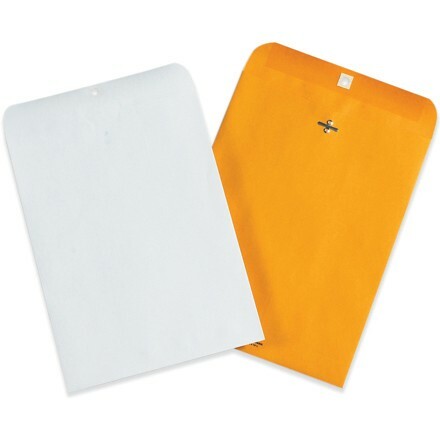 7 1/2" x 10 1/2" Kraft Clasp Envelopes. Reinforced metal clasps on these envelopes make it possible to reuse envelopes. For a secure, permanent seal, moisten gummed flap and press closed. Strong 28 lb. woven envelopes.